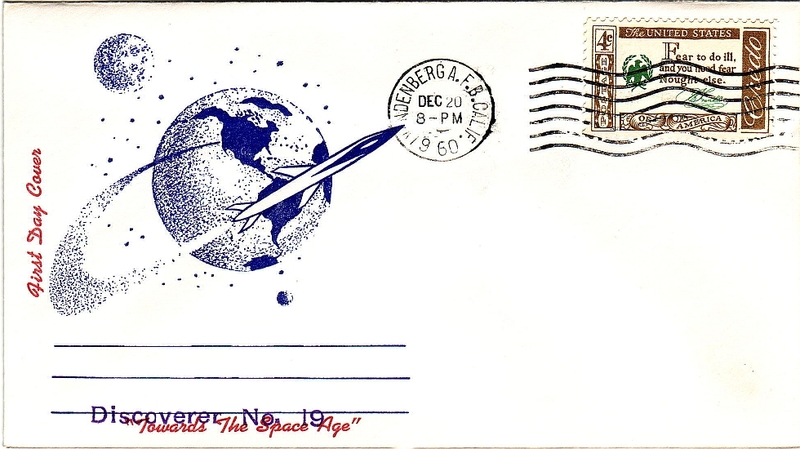 Fifty years ago today — December 20, 1960 — the Discoverer-19 satellite launched from Vandenberg AFB. Part of the CORONA program and listed as an Air Force photoreconnaissance satellite, Discoverer-19 “did not carry a film capsule,” but was launched “as a test for the MIDAS missile-detection system.” MIDAS, the “Missile Detection Alarm System,” was an infrared detection system and precursor to the Defense Support Program and Space-Based Infrared systems. Twenty years ago today — November 15, 1990 — Space Shuttle Atlantis launched from the Kennedy Space Center on a classified Department of Defense mission. STS-38 astronauts Richard O. Covey, Frank L. Culbertson, Jr.,* Charles “Sam” Gemar, Robert C. Springer and Carl J. Meade deployed their classified payload — which was probably classified higher than SECRET — and then returned to Earth on November 20th. This Wikipedia article includes speculation about what that payload might have been. Don’t ask me: I don’t know, and if I did I still wouldn’t say. *I met CAPT (Ret.) Culbertson last year, at the NASA Industry/Education Summit. In the “small world” department, our high schools used to be in the same conference, back when my high school still existed. Fifteen years ago today — November 6, 1995 — Milstar-2 launched from Cape Canaveral on a Titan-IV rocket. I was newly assigned to the 4th Space Operations Squadron when the Milstar-2 satellite was launched and went through its on-orbit checkout. This was not a Milstar “Block II” satellite, with the medium data rate payload, but the second of the Block I satellites. Serving in the 4 SOPS at the time of the launch, since the launch vehicle was a Titan, made a nice combination of assignments: my previous assignment had been with the Titan system program office. Forty years ago today — October 14, 1970 — test pilot John A. Manke flew the X-24A lifting body on its first supersonic flight over Edwards AFB. 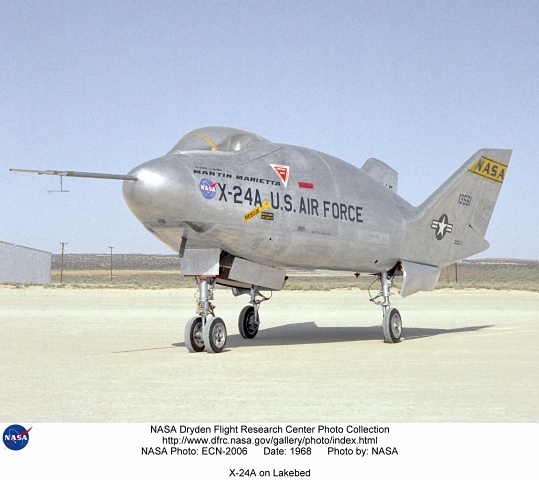 The X-24A was one of several lifting bodies used to study Space Shuttle flight characteristics. And 45 years ago today, in 1965, the second Orbiting Geophysical Observatory — OGO-2 — was launched by a Thor rocket from Vandenberg AFB. 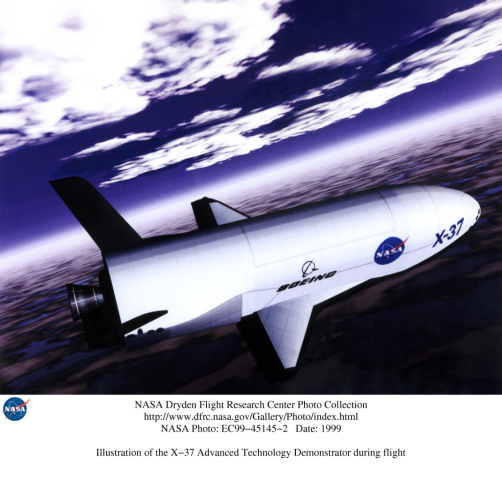 It was the first OGO launch from Vandy, and was placed in a polar orbit. I feel privileged, and somewhat awed, to have served (and done some neat things) at both of those bases. Twenty-five years ago today — October 4, 1985 — the Space Shuttle Atlantis was in orbit on its maiden flight. Atlantis actually launched from the Kennedy Space Center 25 years ago yesterday on mission 51J. This first mission was a DoD mission, in which astronauts Karol J. Bobko, Ronald J. Grabe, Robert A. Stewart, David C. Hilmers and William A. Pailes deployed what was later revealed to be a pair of Defense Satellite Communication System (DSCS, pronounced “discus”) satellites. Also on this date, but twice as long ago — October 4, 1960 — the world’s first repeater satellite, Courier-1B, was launched from Cape Canaveral on a Thor “Ablestar” rocket. The first Courier satellite had been lost due to a launch vehicle failure. For more on the Courier experimental communication satellite, see this article. Yesterday the “Manufacturing Makes It Real” tour stopped at Scott Health & Safety in Monroe, NC, where they make Scott Air Paks — self-contained breathing apparatus used by firefighters and emergency responders all over the world. Of all the places we’ve been, why was the Scott Health & Safety tour stop so special to me? Yet as many times as I wore a Scott Pak, I never thought about where it was made or by whom. 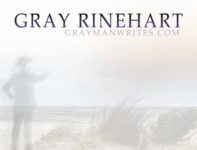 That’s the way it is with a lot of things we use — we take for granted that they exist and that they will work when we need them to, but we too often forget that real people made those things. So I had no idea that Scott Paks were made by a company in North Carolina, nor did I have any idea of the pride they take in making products that help save lives. But I saw it firsthand yesterday afternoon, and that was nothing short of fantastic. I know the weather is threatening to impact our next few stops on the tour, but I hope folks will come out to hear more about the great people at these companies who make terrific products that are vital to our lives. Yesterday morning, during our stop at ArvinMeritor in Fletcher, I took local radio reporter Dan Hesse (News Radio 570, WWNC) through our display trailer so he could shoot some video for the station’s website. I answered some questions and provided some commentary, and for a few seconds you can catch my ugly mug on the video. The segment is six minutes long, and you can watch it on YouTube. *The name changed twice while I was there; when I left, it was the AF Astronautics Laboratory. Now it’s part of the Phillips Lab, but it will always be the “Rocket Lab” to me.